As most of you know, this year has been a change for me. I have always struggled with my weight, and had let it get pretty our of had until the beginning of this year. Since then I committed to living a healthier(and leaner) lifestyle and I began a diet delivery plan. After 7 months on the plan, I transitioned into healthy eating on my own, and have been doing pretty well in managing my weight on my own. I still always worry about doing it on my own for the sheer fact that when my meals are not set for me, there is more chance that I will indulge too much. With the holiday season upon us, that fear is increased. I keep seeing pumpkin everything(which I LOVE) and sweets galore that are extremely tempting. Not to mention the hunger and cravings I will get from all the cooking I will be doing. Lately I have been splurging a little more than I had been before, and I am super paranoid about gaining the wight back. I so want to enjoy the holidays and not be starving myself or totally depriving myself of treats. Thankfully, I just discovered a secret weapon. 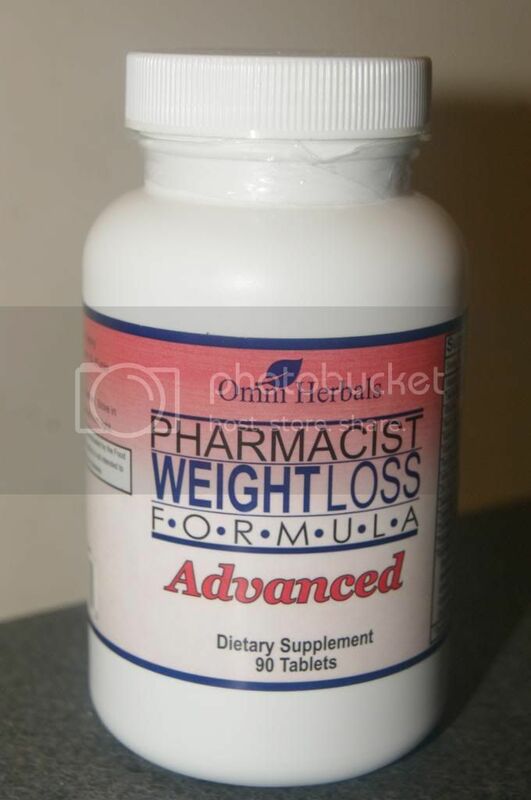 Pharmacist Weight Loss Formula Advanced from Omni Herbals is fabulous! This is a dietary supplement intended to be taken 3 times a day 15-20 minutes before each meal(3 times a day). I usually only take it with breakfast and lunch because I eat dinner really late and although this is non-stimulant, it does provide energy, so I don't want to risk being kept awake. I love that this does not give me the headaches and jitters that so many other weight loss supplements do. It is All-Natural and has no side effects, which is amazing. That even makes it safe for those with high blood pressure and diabetes. Even more amazing is that it helps in so many areas. It curbs hunger and cravings meaning you eat less and feel fuller longer. It provides a thermogenic effect that increases fat burning. It regulates insulin/sugar levels, reduces the amount of fat in your system and rids the body of excess fluid. It detoxifies the body and even blocks some of the carbs you eat form being absorbed. Aside from actually exercising for you, this supplement does it all. I cannot think of anything else I would like it to do. The expelling excess water is really good for be because I recently started drinking way more water(as you are supposed to when losing weight) but I was worried about retaining water and looking heavier because of it. The carb blocking is fabulous too, I love my carbs and I could never give them up. Especially since fruit even has carbs. These work wonders for controlling my appetite. I barely feel hungry at all when I take them. Then I can eat what I want(within reason) and automatically eat only a small portion. These are going to be so great for indulging in holiday treats without going overboard. The only thing I don't love is the size of the pill, but I hate all pills and every weight loss supplement is large(this is no bigger). As much as you get from this, it is a great size. It's not hard to take, even for me. Overall, Pharmacist Weight Loss Formula Advanced is amazing, and anyone looking to try a good weight loss supplement with no side effects needs to give it a try. Premium Garcinia Cambogia Extract is often a potent weight-loss formula that will help you shed pounds possibly with out eating plan or maybe work out. Nevertheless, it is advisable to merge an excellent garciniacambogiaextractt.org which has a diet regime and also workout to acquire swifter weight loss outcomes. This is informative and useful post. Thanks for sharing this advanced weight loss formula. Very useful weight losing tips. Thanks for sharing. Nice to learn something new from this article. I was heard about world best Weight Loss Formula named Garcinia Cambogia. Any one here to tell me about this product review for weight lose. I think weight lose supplement is the good solution for the obesity problem, because no one have so much time to consume in exercise, Crazy Bulk Steroid is also support to make body shape like professional body builders.